This listing is for 1 bead. 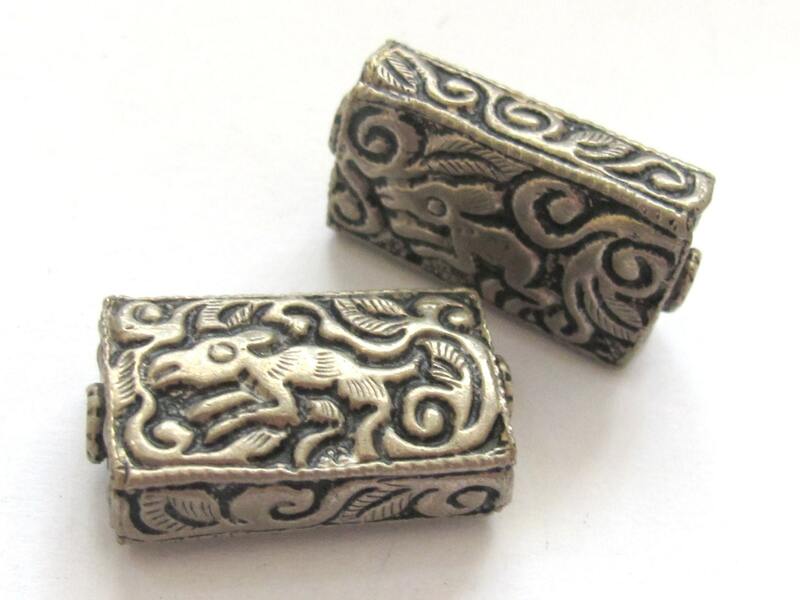 Tibetan silver rectangular cuboid shape beads. 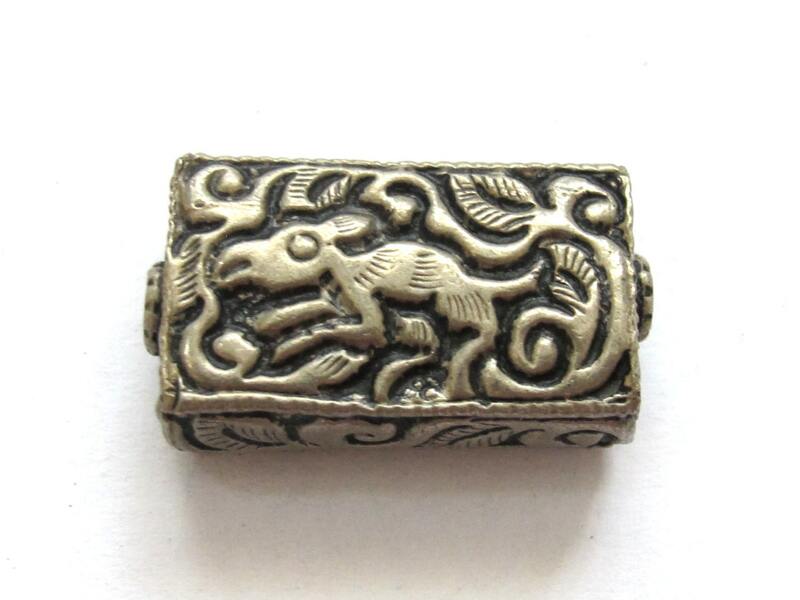 Animal deer design repousse on both sides of the bead. Handmade in Nepal. 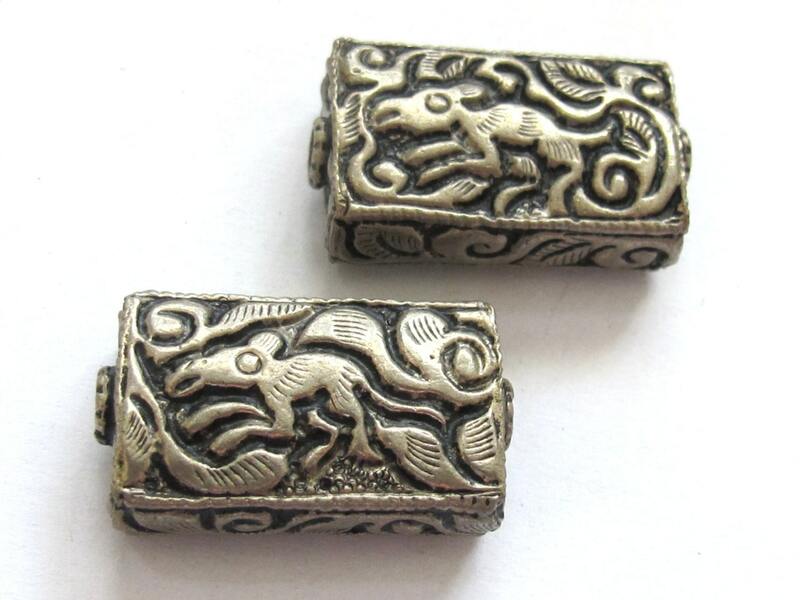 Since these beads are handmade each bead will vary slightly from the other.